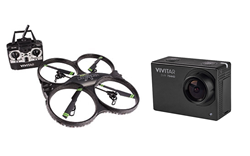 With Father’s Day and graduation right around the corner, Vivitar®, a consumer electronics company providing fun and affordable tech products, is unveiling two high-tech gifts sure to bring the fun, including the high-flying Air Defender x Camera Drone with Wi-Fi (DRC-333) and the DVR794HD Wi-Fi ActionCam. Creating new ways to capture incredible memories and experiences, these entertaining gifts are now available exclusively at Walmart nationwide. Vivitar’s newest drone innovation, the Air Defender x Camera Drone with Wi-Fi, takes photography and video to the next level, literally. Capture live action photos from above with its 16.1 megapixel camera and bring excursions to life with its HD video recording capabilities, delivering smooth, steady footage for 24 minutes of flight time per charge. 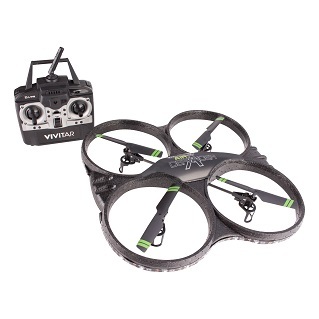 Not your typical drone, the Air Defender features an easy-to-use radio transmitter with multi-directional controls and the ability to hover, flip and fly upside down, or even fly at night with 32 LED lights wrapping the drone for glow-in-the-dark fun. Plus, on-board Wi-Fi allows users to control the drone via a smartphone app, providing a real-time, bird’s-eye view of the flight. While the drone shoots visuals from above, capture your summer adventures in HD from a mountain top or even while snorkeling underwater with the DVR794HD Wi-Fi ActionCam. This small in size but big on functionality camera allows you to take breathtaking photos with its 12.1 megapixel camera and shoot 120 degree wide-angle, high-definition videos in superb 1920 x 1080p full HD video. Its waterproof case allows you to explore new frontiers while capturing content just about anywhere - even underwater. Enjoy live video streaming and the ability to immediately upload videos to social networks anytime, or share content in real time through its corresponding iOS and Android apps on your smartphone. In addition to the DVR794HD, Vivitar has a full line of waterproof action cameras to fit every price point, including the DVR783 and DVR786. For more information about Vivitar products, please visit http://www.vivitar.com. 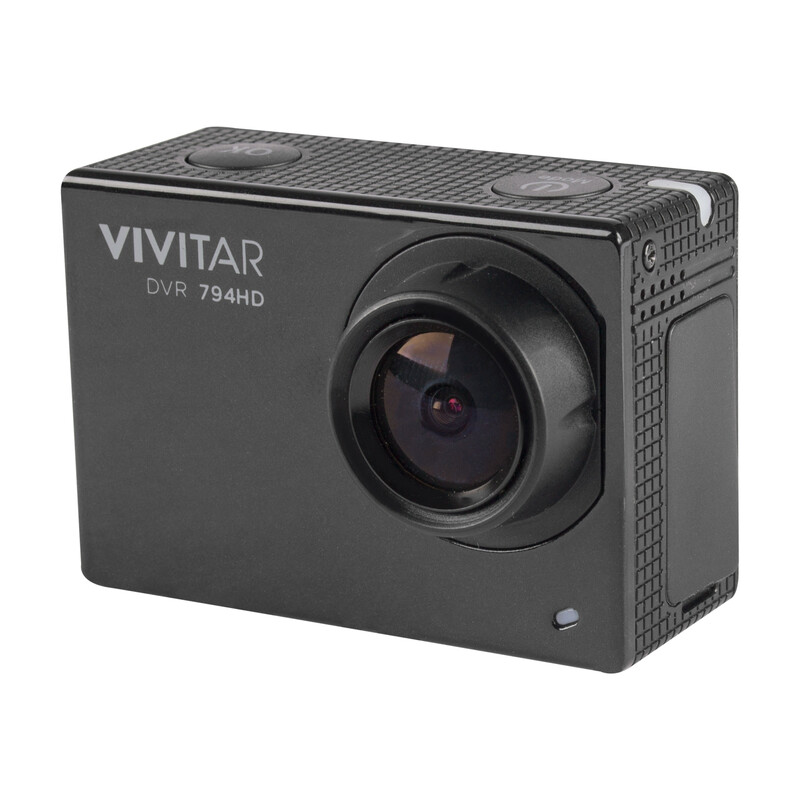 Vivitar designs and manufactures affordable consumer electronics ranging from on-trend digital lifestyle products for millennial consumers to cameras and accessories for amateur and professional photographers. With a rich heritage dating back to 1938, the company’s portfolio today spans mobile and audio accessories, cameras, and a constantly evolving array of specialty products in emerging electronics categories. It also is the largest supplier of digital still cameras, camcorders and accessories around the world, harkening back to its origins as an importer of photographic equipment and its subsequent development of industry-leading mass-market cameras, lenses and flashes. A division of Sakar International since 2008, Vivitar is headquartered in Edison, NJ, with offices in the United Kingdom, Latin America, Canada, Australia and Hong Kong, and global retail distribution through more than 100,000 mass market and specialty locations. For more information, visit http://www.vivitar.com or follow the company on social media at Facebook, Twitter, YouTube, and Instagram.